Going into this week, I knew I had some big training sessions on the plan. As the training distances get longer and longer, the importance of quality sessions grows. 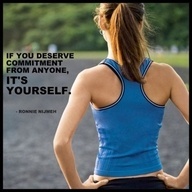 This is true for the fitness portion of training as well as the mental portion. I had a friend lend me a couple of DVDs of earlier broadcasts of Ironman World Championships. He has the box set that includes 10 years’ worth. I have seen them all, but I never tire of watching them. I watched two different years’ broadcasts while doing bike sessions during the week. It is a great way to pass the time while watching the sports’ best athletes take on Kona! AM – 1 hour 45 minutes on the bike trainer with the main set focused on 6×10-minute lactate threshold efforts. This was a great session for me. I felt strong and was able to keep my heart rate within the necessary zone. I challenged myself appropriately for the session. PM – 3100-yard swim – Lots of variation in the workout with 300s, 200s, 25s, pull buoy, slow, moderate, fast efforts…I really spent time focusing on my left arm stroke. This is the suggestion that Tim gave me during the prior day’s OWS. I could tell I was changing things because my shoulder became fatigued early. I agree with his assessment though and slight changes can result in great improvements. I felt that my timing was slightly off due to the change…albeit minor. I think a few more sessions and it will start to become more natural. PM – LONG RUN DAY!!!!! This was a big session planned for me. As the long runs left in my plan are becoming fewer and fewer, I really need to get my hydration and nutrition dialed in so I can have a good game plan come race day! Since my last long run and the troubles I experienced there, I have spent a lot of time focusing on pre and post workout weight to gauge hydration levels. This has been an interesting process and Tim has aided me in the analysis. The plan for this long run was to run it on the treadmill. He has a machine where you can download various courses and the treadmill tracks the inclines/declines/flats of that course, including the IM Lake Placid run! Plus, since we are in a more controlled environment, we can adjust the hydration and nutrition on the fly, as needed. When this day arrived, I was so thankful that we had the treadmill plan. I say that because the temperature hit 97 degrees and this was our first week of extreme heat. I would have melted if I had to run in that heat! When I arrived at Tim’s we came up with a game plan. The original plan was for one 20-ounce bottle of water and ½ bottle of Osmo (which is my sports drink). Also, one GU Chomp every 15 minutes. In prior long runs I had been eating more and drinking less. 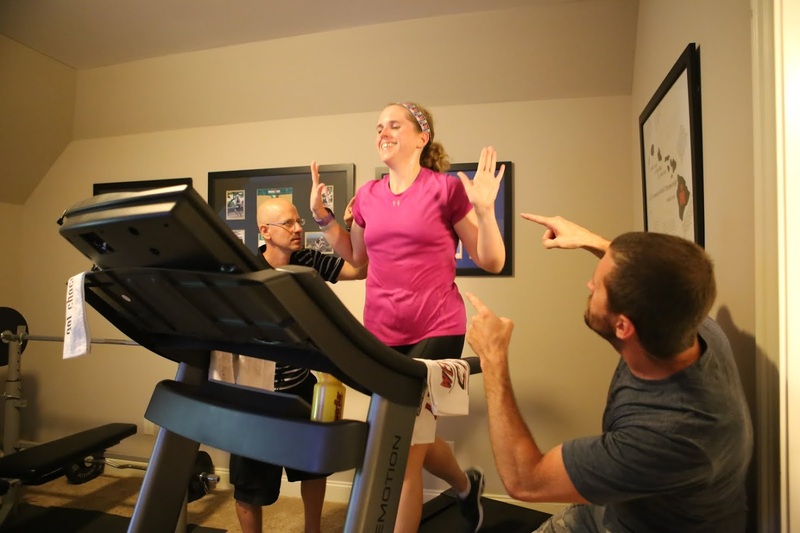 I got going on the treadmill and despite a few initial problems with internet connections, I was eventually able to start running the LP course about 45 minutes into my run. To my excitement, the first several miles are downhill. This will be a great way to transition from 112 miles on the bike to the run…I can’t overdo it, but having the downhill will allow me to really engage my legs and open up my stride to ease into the run. After the first hour, I was feeling good. I had consumed 2 full bottles without forcing the second half, so we decided to go forward with two bottles/hour and continue on with the four GU Chomps I had eaten without issue. Throughout the run, I jumped off and weighed in order to track my weight and liquid consumption. We were tracking great throughout. I ended the 2 hours and 45 minutes and I was thrilled with how things had gone. I felt great, tired, of course, but great considering I had just run the longest (2 hours and 45 minutes) and furthest (17.75 miles) I had ever run. I had NO muscle cramping and NO stomach issues. This was a victorious run! The run course has some definite challenges. There are a few steep climbs with the two longest being later on in the loop (the course is a two-loop course). I think having experienced the course on a treadmill has given me additional confidence since knowledge is power! All in all, I could not have asked for a better long run. After the workout, we had a great dinner including steaks on the grill, salad and baked potato! Many thanks to Tim for helping me with the hydration and nutrition plan and re-filling my bottles and keeping me on track to have a successful run! Thanks to Tony, Nicole and Tim for providing the entertainment during my run…I did not know a photo shoot was going to be in the mix! 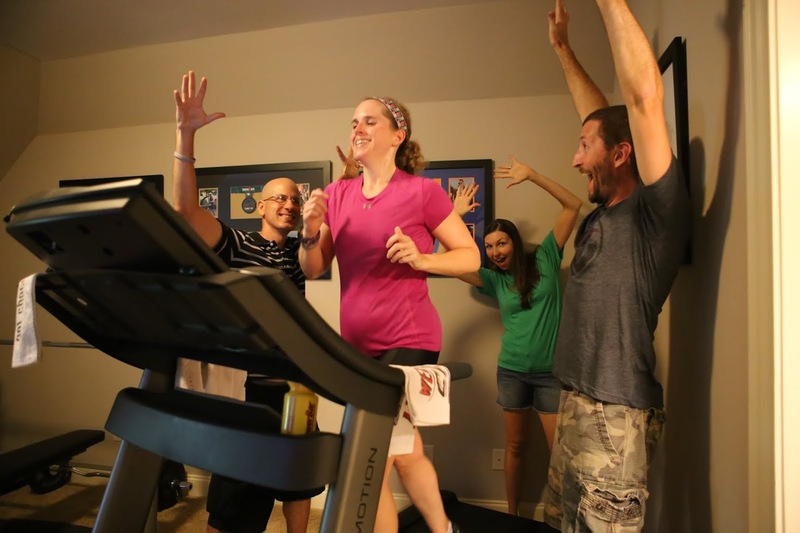 They made 2 hours and 45 minutes on the treadmill the best it could ever be! The support crew!! This will be my crew on race day!! PM –The plan was for an open water swim. Well, I learned during the day, that the access to Falls Lake where we swim was closed due to high bacteria in the lake (YUCK!!!). I am no scientist, but it would seem that the high temperatures we have experienced and very, very warm lake conditions, may have contributed. So, pool swim it was! 3100-yard swim – This was a good swim!! I continued to practice the change with my left arm/hand and it really started feeling more natural during this workout. I was really pleased with most of my times and I think this slight tweak will improve my efficiency! The swim included 600, 300, 200 and 100 sets. All were at a moderate to moderate plus level, except that six 100s that I ended with were “building” efforts. My main set of 2400 yards averaged 1:52 pace. AM – 1 hour 15 minutes on the bike trainer with the main set focused on strength; so, low cadence and big gear. My legs felt pretty good and actually as I progressed more into the workout, my heart rate was lower and able to easier to keep it I the prescribed zone. PM – 60-minute steady run – I was not sure how this run would go. I had a good long run on Tuesday and had not experienced too much soreness since then, but with this run being a goal of 30 seconds faster than race pace, I did not know what would transpire. I went in with the mindset that I would give it my all, but not push too much. I did have a very long bike on Saturday and did not want to leave everything on the treadmill! It ended up being a good run. I held pace and was comfortable in my groove. I was pleased how the session went and looked forward to my rest day! Friday 6/20 REST DAY! WOO HOO!!! Long ride on the plan. Six hours total. Once again, I had two routes as the game plan in order to have company on my ride. The first route was a new route that Tony planned. Most all the roads I had ridden on bunches, but the particular route was new. I had two friends join for the route one, which was planned for 66 miles. The weather had been hot all week, so I was pleased when the forecast showed an eight or nine degree drop in temperature. We were fortunate to have mainly overcast skies for this first part of the ride. At one point we thought we might get rained on, but it ended up being only a couple of drops. After finishing up the first route, I swung by the house and Tony joined for the remainder of the ride. We rode the typical “part two” route. By this time, the sun was out. I continued to focus on drinking and eating, as I had earlier as well. I pushed a little bit harder on this six hour ride. Nothing crazy, but my average speed crept up a bit. I still felt pretty good at the end. I was definitely tired, but stomach felt normal, so I think I did good nutrition and hydration wise, as well as, targeting my effort. Want to know the best part of the ride (besides the shower after)? The best part was that I hit the century milestone. 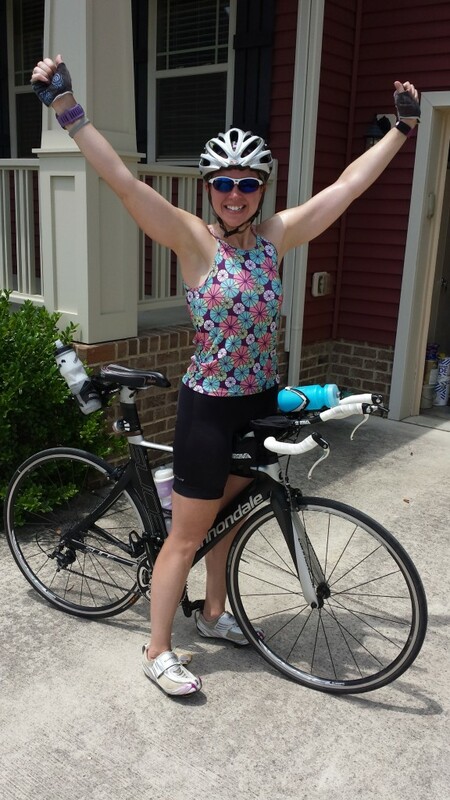 When my Garmin hit 100 miles, I had to shout to out! That was a very exciting moment for me! Big smiles after the ride! With a couple of training sessions planned for the afternoon, I enjoyed a leisurely morning…did not sleep in like I planned (not my fault), but still enjoyed breakfast and coffee. I love these type mornings and don’t get to experience them very often. The day did eventually get started and it seemed to start getting away from me quickly. After a light lunch, I realized that I was very tired. With speed work planned, as well as, an open water swim, I decided to get in a quick nap. This was the smart decision, since I slept hard (obviously needed). After the nap, I had to quickly get started on the run so I could make it out in time to meet the group for an open water swim. Run – 65-minutes on the treadmill with the main set focused on speed (plan). I had 4×10-minute speed intervals to run. I hit the first interval. During the second, I quickly recognized that I really did not have a lot in my legs. I guess I was feeling the effects of Saturday’s long ride. I continued to do what I could and even though I had to decrease my pace, I finished up the second. During the third, I stopped a couple of times and when I did so, I paused my Garmin. I think I have it set to auto-pause, but could not remember for sure. One of the times I stopped, I forgot to start it back again. I had to guess on time and I think I got the third 10-minute interval done (slower). I started the fourth and just did not have anything left it the tank. I thought of my swim and really wanted to have something to give, so I called it done. My treadmill time totaled 44 minutes (10 of which was my warm-up). Swim – I went to meet the swim group at Falls Lake and only one other swimmer showed up. We were fortunate that a kayaker did as well. I was able to get in an hour swim at 1.66 miles. Fortunately, the water was not as warm as the prior weekend. The swim out was good and smooth but the swim back had us going head on into the current. Not fun! All in all, I was happy with my swim though! Totals: All of these are new personal totals for weekly volume (except the swim where I have had a couple of weeks with just a bit longer distance). This was an interesting week. Each and every week continues to test my flexibility and dedication to training. This week was no different. After Ironman, one of the things that I will not miss is super early mornings. It is crazy that I can consider 6:15am to be “sleeping in”. I just can’t get used to these days when the alarm goes off at 4-something AM!! PM – 1 hour 45 minutes on the bike trainer with the main set focused on hill repeats. I felt strong on this workout and was pleased with my steady effort throughout. This was a good start to the week. AM – 65 minutes on the treadmill with the main set focused on speed. I had 4×10-minute speed work intervals and I had to dig deep to keep a strong effort. Sometimes I feel I can get past the early morning hurdle and start out strong on the run. 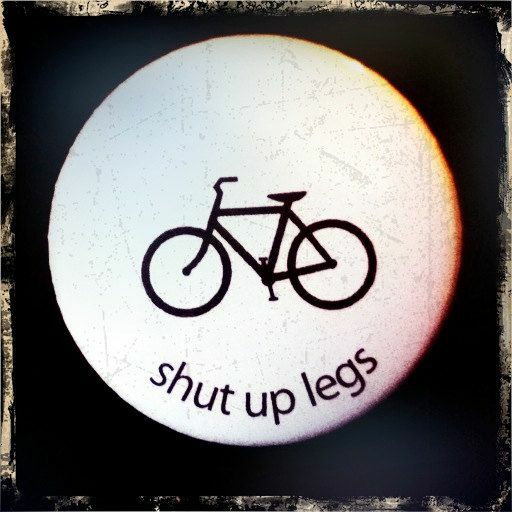 This morning my legs felt like they were still asleep and it took me a while to get going. I also had several GU Chomps because I felt like I needed a kick to make it through. (I typically have a Stinger Waffle before all my early morning workouts. This is generally enough to sustain me). I felt better on my third interval than the first or second and I finished the fourth by just telling myself that I was almost done! I was happy that I pushed through the initial struggles and even though it did not get easy, mentally I pushed the extent I needed to complete it strong. PM – 2300-yard swim – This swim session is one that typically falls within the recovery weeks. It is a shorter distance session with focus on drills and form with a few speed sets built in. 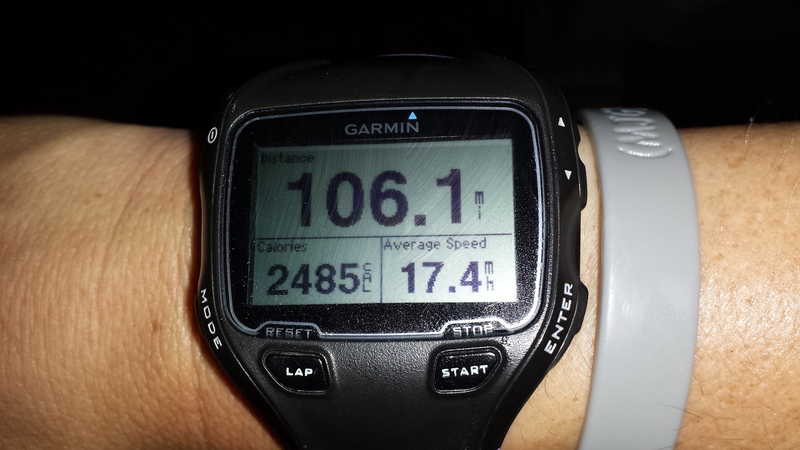 As is typical, I completed this session without my Garmin, just so I can keep my focus on other things besides time. AM – 90 minutes on the bike trainer with the main set focused on lactate threshold efforts – This was a long session, but I really felt good. I put in a solid effort while keeping my heart rate within the desired zone. Once I got off my bike, my legs even felt a bit wobbly! Hard workout! PM – Well, this was a lesson in flexibility. I had planned to join a group that swims open water at Falls Lake on Wednesday evenings, but there was rain moving through, so I changed my plan. I was keeping my fingers crossed that it would remain only rain and not turn into storms and I could go to the pool. Well, as I am driving from work, the conditions became crappy. I called the pool and they were closed and she said that the weather was bad there. So, I headed home to try to figure out the necessary shifting in my schedule. After chatting with Tony on trying to figure out my plan b, it was decided that I would not train that evening and push the swim to Thursday evening (in hopes that the forecast would better cooperate). The run that I had planned for Thursday night would be done that morning (that was the hardest part because time wise it was on the long side, so that meant a super duper early alarm!! Plus my original plan did not have a morning session on Thursday, but the shift changed that). AM – 1 hour 50 minutes on the treadmill with the main set including a 90-minute steady run. I attempted to set my alarm for 4:30am, but I neglected to hit “save”, so there was really no alarm set at all. I somehow only overslept by 10 minutes, so I was up and trying to warp my brain around this run at 4:40am. Mentally, I was actually in a better place than I thought I would be. I knew I had this run to do and I just had to get my body to agree to it!! The first few miles I felt ok, but was unsure if I was really going to get into the groove that I like. Well, thankfully, I did. I really had a good run. I believe that my body did a good job of accepting the challenge from my brain! The 90-minutes put me at 10.77 miles with an average pace of 8:22. PM – 3700-yard swim – The main set included 4×15-minute intervals with 1 minute rest between sets. When I has timed sets in the pool, I pick a distance which matches up to the planned times. For a 750-yard set, I am generally just under 15 minutes, so that is the distance I swam. I felt pretty good…I was generally happy with the times of three out of four sets. My times were 14:51, 14:49, 14:58, 14:49. Of course the outlier of 14:58, I would like to see around the same time as the other three. I was definitely pretty wiped at the end of my swim…my day started VERY early and I had two tough training sessions. Friday 6/13 REST DAY! WOO HOO!!! This day was a biking adventure. Tony and I decided to take a little road trip and head toward the foothills of NC to take on some biking that included more climbs that what we typically find around here in Raleigh. The area is just outside of Winston Salem and includes three distinct climbs…Pilot Mountain, Sauratown and Hanging Rock. We had never ventured out to this area for cycling, but we had heard about riding in this area from several different folks. I was able to find a route map online that incorporated the three climbs and we were ready to climb (or so we thought)! 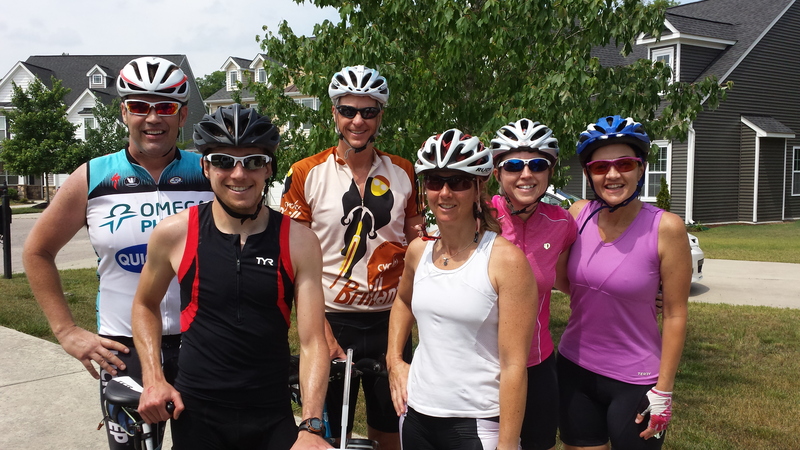 After we got to town and parked at the beginning of the route, we met a few cyclists that were familiar with the area and the climbs. We got a bit of information from them to ease our navigation and they were super friendly and helpful. We planned to hit Pilot Mountain first, then continue our ride to Sauratown and end with Hanging Rock. We arrived at Pilot early in the ride and this started an adventure like I had not imagined! Essentially, we were climbing the entrance road into Pilot Mountain State Park. The road was smooth and there was little traffic; the cars we did encounter were slow and cautious. I quickly realized that I had underestimated this climb. I had read what the % grade was, etc, but since I don’t do a lot of specific climbing, I really could not relate to what the grade meant in terms of difficulty. It did not take long until I was huffing and puffing with a heart rate that was off the charts! After the initial little bit, we took a short break to try to mentally re-focus on this challenge. Tony was encouraging me and I was thinking “how the heck am I going to do this???”. We continued along and I was in my easiest gear and going at a snail’s pace. My legs were ON FIRE (I wish I could select a harsher term than fire, because that is how they felt). A couple of times when I tried to stand, my legs quivered. I was trying my very best to continue forward. I had to stop again because my breathing was out of control. After regaining my composure, we started again…we actually crossed the road at a slight downhill to get clipped in and gain a bit of momentum…otherwise, I would have toppled over with the first few pedal strokes. We made it a bit further until we stopped again and just decided the enormity of how BRUAL this was! Tony was a trooper in that he was doing this FOR ME…PLUS…his tri bike is NO WHERE near step up for climbing. Mine has a compact cassette which essentially gives me an additional easy gear (that what came standard on my bike), which can help on NORMAL climbs. The only thing that would have helped me at that point, would have been an engine! At this point, we decided that we had enough. For the training I was trying to get, this was overkill. We were successful in making it up about 2/3 of the climb. We made our way down, very slow with tapping on the breaks to maintain control and we made it down safely. I have read various sources online about the climb with varying average grades from 7.5% to 9.2%. I also read that the steepest parts of the climb begin about a mile past the park entrance and kick up to over 16% for about a quarter of a mile (which we did). The length of the climb is 2.86 miles with an elevation gain of 1,126 feet. We continued along the planned route and quickly realized that the rollers we were encountering were good challenges. This is one of the things we came for. Good rollers that had more difficulty than what we encountered at home. For the most part, the ride was good. There were a few areas that the roads were not in the best shape, but overall, they were fair. We came to the base of the Sauratown climb. We really did not know what to expect at all. All we could see was the initial start, which looked pretty steep. We knew that Pilot was more difficult, but what would we be getting ourselves into by starting another climb? We had exerted A LOT of energy early on. We were debating our choices when we saw a cyclist coming down the climb. He stopped and we were asking him about the climb, what to expect, etc. About this time, the two fellas that we had spoken to in the parking lot before we started our ride showed up. They were going up and encouraged us to climb with them. Afterwards, they were headed back to our starting point. We decided to go for it. It was tough but had less grade and a SLIGHT opportunity for recovery in two or three spots. I really wanted to make it to the top since we were beaten by the first climb. I had to stop to regroup, but Tony really pushed me to keep at it and make it to the top. We did and I was so relived. The decent was tricky with a few hairpin turns, so once again we used caution and slowly made out way down. This climb totaled 6.29 miles, elevation gain of 1,404 at an average grade of 4.2%. Our two new cycling friends continued to encourage us during the climb and waited for us at the base. Tony and I opted to skip the last climb (Hanging Rock)…our new adventure had been more of a challenge than we thought and we had our fair share of climbing at that point! We rode back with the guys on pretty flat terrain which allowed up to really spin out our legs and flush them out. By the time we got back to the car, the legs were feeling half-way decent! In hindsight, I wish we had skipped the Pilot Mountain climb and done Sauratown and taken a stab at Hanging Rock. Pilot really was way more climb that I need to train on for my race and we had to exert so much energy to make it to the point we did. After the ride, I did a three mile brick, which felt ok. I did not get in the total time for the ride per my training plan. 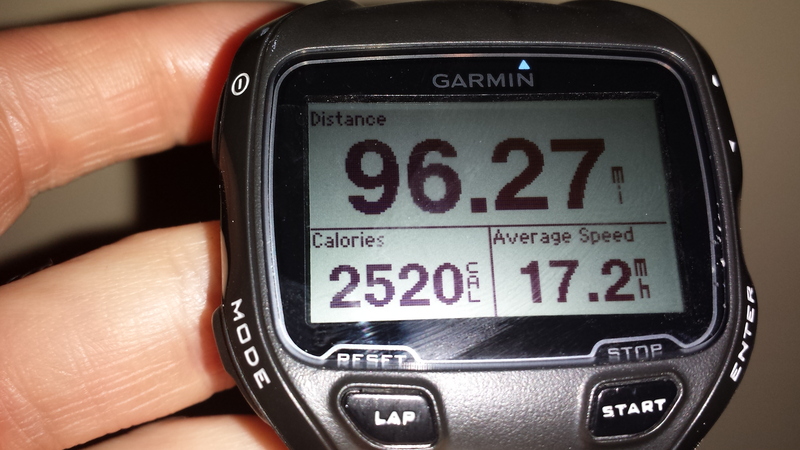 However, the challenge was huge and it was a hard working day, despite numbers on the Garmin. This was another day for an open water swim. I planned to meet Tim and Nicole at Falls Lake. They were up for some paddle boarding, so I took advantage of having safety escorts! I was feeling good. The water was so much calmer that the prior week…thank goodness! The water was really, really WARM (too warm)…and for me to say this (I think the pool is chilly), it has to be warm! Overall, I had a good swim. Tim gave me a few pointers on my sighting and the left arm of my stroke, and I really focused on these great suggestions. I completed a 1:01 swim with 1.74 miles. Stretching/foam rolling: Not as consistent as I had become. Week seventeen began the next four week training block which will be the toughest four week block of the plan. I am down to two 4-week blocks before the big day!! 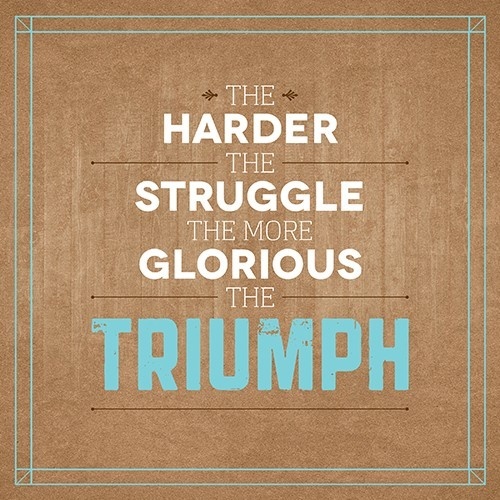 I know this month will bring immense challenges, but all I can say is…BRING IT ON!! PM – 3500-yard swim – I felt decent during this swim, but my times were not what I am capable of doing at this point. I got it done. That’s all. PM – 2.5 hour long run – No surprise that long runs are a real challenge for me. After my last two runs, I have felt pretty trashed at the end. I was hoping for a better outcome with this run. I tried to plan my nutrition better. Also, since this day was the warmest I had so far for a long run, I decided that it would be smart to take the beginning miles on the easy (effort) side…I did not want my heart rate to jump early. I was executing my plan well. First 4.5 miles, I really kept my heart rate in check and I was feeling fine. I was eating as planned and drinking well. Tony met me once again around this point on his mountain bike to support me on my run. I decided for the next few miles to just run based on feel. It got interesting, fast! Around mile 7ish…it started drizzling…then it started raining…then it started pouring!! Tony asked me if I wanted to finish my run on the treadmill at home…I declined. I felt bad for him since he was getting drenched too, but I did not want to stop and re-start…plus it is good training because you never know what conditions will be like on race day! The rain continued for a while. It actually distracted my mind a bit as I was watching the puddles on the ground while hoping that my soaking wet socks did not result in big blisters on my feet! After the rain let up, I was starting to struggle a bit. I don’t remember precisely, but maybe around mile 10-11. I was feeling a bit nauseous and I was starting to feel some aching in my muscles. I just kept telling myself that I could do this. I stopped for a few seconds a couple of times to stretch. I made it for the 2.5 hours. I totaled 15.25 miles. LONGEST.RUN.EVER!!! My calves were cramping badly after I stopped. The walk to the car was slow and painful!! Fast forward…I called my friend Tim that has done three Ironmans and has tons of running experience. I explained to him my symptoms and what I had planned/done with my eating and drinking. He immediately said that I was dehydrated…my described symptoms fit it perfectly. Long story short…I am not drinking enough and not of the right thing. He is confident that this is something we can figure out and address easily. It is awesome to have such strong resources! MORE TO COME ON THIS…. AM – 80 minutes on the bike trainer– I have done a bike trainer workout several times after long runs. However, despite my efforts of stretching and foam rolling from the previous night, my legs were feeling rough this morning. The main focus was on big gears and low cadence while keeping the heart rate relatively low. I made it through the bike session, but it was not pleasant! PM – 3100-yard swim. I have done this similar workout numerous times…100 moderate/:15 sec rest/50 Fast/:30 sec rest. This time, I had to do this 16 times!!! I felt better than I thought I would, since my body was pretty sore and achy from the long run. I did not push the moderate pace like I usually try to do, but held fairly consistent throughout the 16 intervals. I swam the 2400-yard main set at an average pace of 1:51/100 yards. PM – 70-minutes on the treadmill with the main set including speed work – I was concerned about this run. It was3x15-minutes at speed work pace (with 2-minute recovery between intervals). These are always challenging and with the increase interval time plus number of intervals, I knew I had my work cut out for me! I was very proud of my effort. 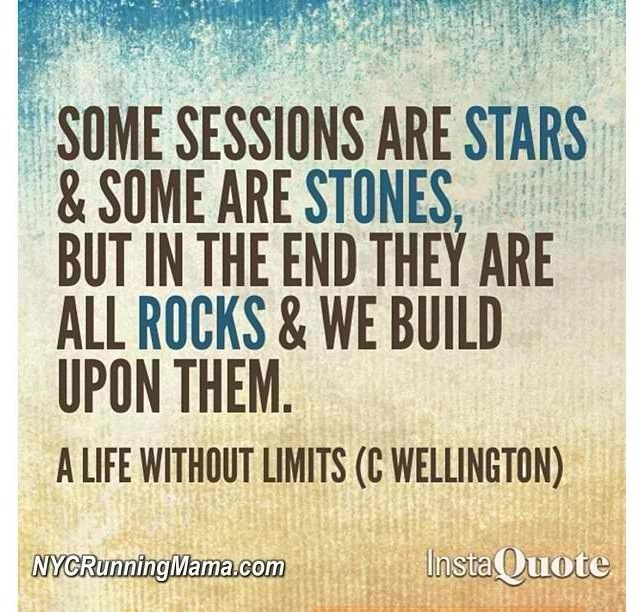 I stayed strong, got through all the intervals and held my speed work average pace of 7:30! I wanted to yell “woo hoo” when I finished, but I was too tired!! Total distance (which includes warm up and cool down) was 7.55 miles. I lost 1.4 pounds on this workout (which is after considering the 20 ounces of Gatorade I drank)! The trend that I am quickly seeing is that my hydration IS low. I plan to work on this immediately!!! Friday 6/6 REST DAY! WOO HOO!!! 5.5 hour ride – I was definitely nervous about this ride. I was anxious mainly because I pretty much trashed my legs on Tuesday’s long run and I had a lot of residual soreness that I had not felt in any of these weeks of Ironman training. Had I recovered enough to have to good long ride on Saturday? Also, the last time I rode (3 hour ride from the previous week), I didn’t have a great ride. These two elements were contributing to my nervousness. Also, I knew that this ride was a very important ride for gauging my hydration and nutrition. What is really working for me and what (may) need to be adjusted? My plan needs to be locked in sooner than later. I had planned another two course route to comprise the 5.5 hour ride. 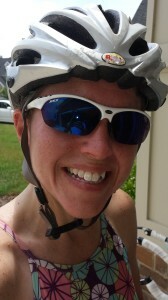 There was one other that was riding the full 5.5 hours with me (YAY for Daryl!…he is training for IM Louisville). For the first route, we had six folks riding. I was excited to have this size group. The morning was overcast and temperatures were mild. I had planned to really keep my effort easy on the first section of the ride. Also, really focus on hydration and nutrition. After the first route when we swung back by the house, I was feeling good. We were about 3 hours 15 minutes into the ride. I had really practiced what my plan was for level of effort, eating and drinking. My legs were not fatigued and my stomach was feeling normal. I was excited at this point. The second route had five of us starting out (one was planning about 10 more miles). As with several previous rides, this route contained more rollers. I felt I upped my level of effort a bit, but still felt like I was riding smart. Nearing the end when we approached the neighborhood, I realized that time wise I had underestimated and would be a few minutes short of the 5.5 hours. I was still feeling good, so I, along with one other, tacked on a few more minutes. I ended the ride with 5 hours 36 minutes, 96 miles (new record for me!) at an average speed of 17.2. When I got off my bike, I was super excited. My stomach was feeling fine, I felt like my legs were in decent shape and that I still had something left had I needed to run. 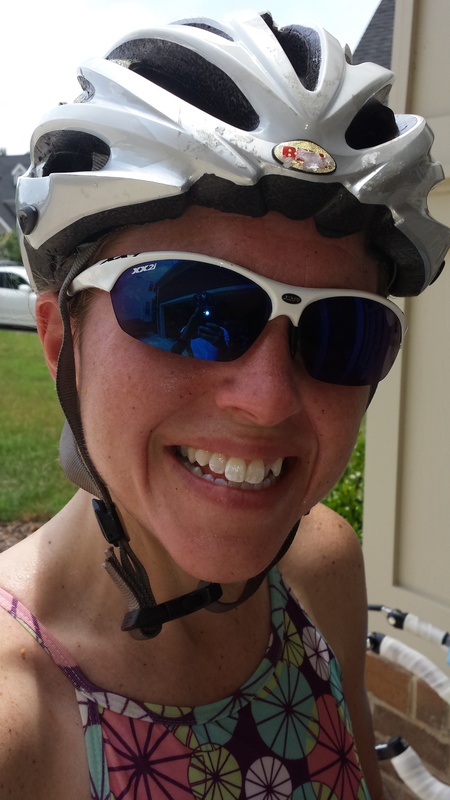 I finished the ride and met all my goals. I could not have been happier at the point!! On this ride I consumed 154 ounces of fluid (combination of water and Osmo sports drink) and lost a total of 1.6 pounds. I ate a lot of calories as well. We consider the 1.6 pounds lost a low amount (a minor victory for this ride), considering the length of the ride! Open Water Swim – I was going out for another open water swim at Falls Lake and one of my goals was to work on siting. Tony and our buddy Tim that has the paddle boards (and is my new hydration consultant), were going out with me and they were going to position themselves as my “site buoys”. The conditions were terrible! The water was incredibly choppy and I was really getting beat up in the water. I tried my best, but I felt like I was fighting the water the entire time. I had hoped for an hour, but ended up 50 minutes. I gave all my effort and that is all I can ask (besides smooth waters on race day!!). Run – 54 minutes on the treadmill with hill repeats for the main set – I planned to run the hill repeats on the hill I have done so previously in my neighborhood. It looked like rain and the radar showed rain, so I jumped on the treadmill. I see the benefits in running the hill repeats outside and well as on the treadmill. Setting the incline to a specific number on the treadmill is nice and challenging whereas being outside and trudging up the same hill over and over is just good training physically and mentally. I had nine 2-minute hills with 2 minutes (flat) recovery. I opted for varying inclines…4%, 5%, 6%, 7%, 8%, 7%, 6%, 5%, 4% and selected speed based on feel (good challenge but enough to sustain a decent pace for the hill). I was pleased with my run and felt that the nap gave me a second wind to have a good workout. I ended with 4.67 miles. I am very deep in to training at this point. 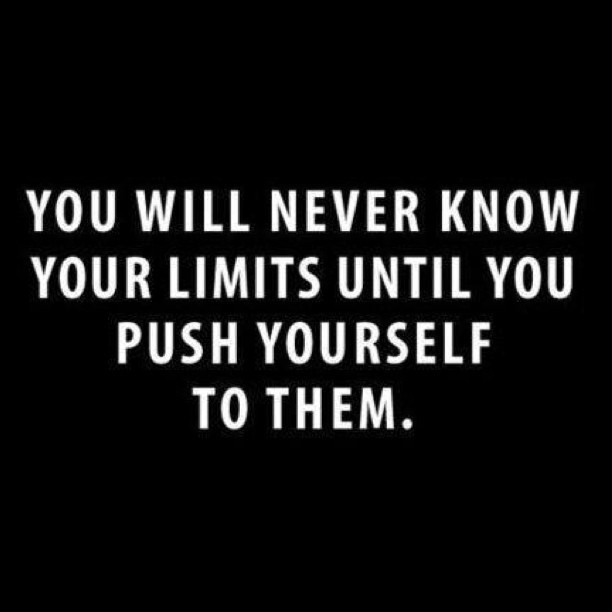 However, this week has started some lessons in what will be a major part of leading me to success on race day. I am going to keep working on the hydration and nutrition and hopefully when I get to my next long run, I will see improvement. The long ride was a personal victory in that I am still overcoming so many things and still learning so much about myself and abilities. Another week done and another week closer to IMLP!!! This was another recovery week, which time wise worked out well with hosting athletes and volunteering for the Raleigh 70.3. Recovery weeks are certainly not easy weeks…nothing with Ironman training is!! There is a slight reduction of total training time, which is welcomed. I did have a personal record during this week, which was a little victory for me! PM – 1 hour 24 minutes on the bike – Hill Repeats – These are always a challenge and I had to complete five 10-minute repeats. I had to work hard on this one, but felt pretty good. I had some soreness in my Achilles and stopped to stretch at one point. At the end of the session, I just happened to notice that I had some movement between my cleat and pedal. Tony checked it out and tried to adjust a few things, but the final decision was that I needed new pedals (this could contribute to the feeling I had in my Achilles or could be just tight calves)! Yet another little project for him to tackleJ. AM – I had speed work on the plan. 3×10-minute intervals was scheduled. I had a very tough run! I was not feeling strong at all. I made it through the first and then had a two minute recovery. The next interval, I was still struggling. I had to insert an additional (one minute) recovery at the half way point. I completed the second, but was feeling poor. I went through the next two minute recovery and tried to start again for the last interval, but it just was not going to happen. I felt an odd sensation in my legs as I tried to go and I did not like it. I decided that this day was not the day to push. Luckily, I do not have to do this frequently, but had to listen to what my body was trying to tell me. PM – A swim was on tap for the evening. About 45 minutes before I was supposed to leave work, a storm started moving through, complete with thunder. Anyone that swims knows that thunder is NOT your friend, because it closes the pool. On my way out, I called the pool and found out they were on a temporary close until 6:00pm…no surprises. However, it was starting to clear up and by the time I made it to the pool and changed, it would be right at 6:00. As I was in the locker room getting ready, a guard walked through and told me that the closure had extended to 6:25pm. UGH! More thunder! I decided that my evening time is way too valuable and I was not going to play this waiting game it hopes that the weather cooperated. I headed home and did 60 minutes of yoga. It felt great and was very much needed. This was, by far, a better use of my time! AM – 75-minute bike trainer session – Tony had put on new pedals Tuesday night, so I was ready to go! This workout was at lactate threshold with the main set of 4×10-minute intervals alternating between 80 and 90 cadence. I had a great workout! PM – 4000-yard swim (2.2727 miles) – LONGEST.SWIM.EVER.!!!! This swim was ok. The plan instructed easy to moderate efforts on all the sets, so I really did not push too hard for speed. My times were fine starting out, but definitely slowed toward the end. This was such as long freakin’ swim, but I was really glad to get this mileage under my belt. The main set a total of 3,300 yards and I averaged 1:57/per 100. AM – 75 minute steady run – Super early alarm to get in this run (early mornings never get any easier for me!!!). As I got going on the treadmill, I was feeling fair, but could tell that my head was not in this run. This was going to be one of those days. One mile at a time…that is what I told myself. Pace wise, I completed the run on track and put in 9.14 miles in 75 minutes. I battled through and that is all that really matters. Not a fun run, but a done run!!! PM – Massage – I can only say again, what an important piece this is in my training. Tony and I headed out Saturday morning for our three hour ride. I was feeling strong early on…three hours seems so different from five (prior week), so mentally I was in good shape! I had an eating/drinking plan that I was going to stick with and hoped that it was agreeable! At some point after the half way mark, I started feeling weak and I did not have the power I should have. I had followed my nutrition/hydration plan pretty well, so I was not real sure what was going on. Tony and I had a brief discussion that because I had some blood drawn the day before, it could be affecting the way I felt. Bottom line, I have no idea, but just not what I was hoping for. We finished the ride, but since I was feeling less than stellar, Tony suggested that I give myself a little rest before starting my run. The plan was a brick (run immediate after bike), but since he actually suggested it, I decided to go with it. Also, it was getting pretty warm by that time and I was not sure if I should be pushing too hard with how I felt. After about 15-20 minutes, I jumped on the treadmill and ran my 50 minutes. I decided I would not push the pace, which really is what the plan describes anyway. I usually just run my bricks based on how I feel. I made it thorough and was feeling ok.
My ride topped out at 52 miles for 2 hours 56 minutes with an average pace of 17.6. I ran 5.43 in the 50 minutes at an average pace of 9:13. PM – Since my swim had been cancelled due to thunder earlier in the week, I decided to work in the missed session this afternoon. It was a skills focus set that is typical during the recovery week. Even though I had a kind of hard morning, I thought I could get through the swim without too much of an issue, because it is not super long or too exhaustive. I got in the 2300-yards and it went fine. These sessions I don’t even wear my Garmin because I wasn’t to focus on form not time. I was just glad to be able to get this session done. This past Sunday was the second running of Raleigh Ironman 70.3. With the inaugural year being in 2013, there was tremendous excitement and hype amongst our local triathlon community that first year. Both Tony and I participated then and it was a great event. I was proud of the support the community showed the inaugural year and the volunteers were excellent! This year, of course all my focus is on IM Lake Placid, and I did not sign up early on for Raleigh. At some point after I had selected my training plan, we decided that with the timing of Raleigh versus the timing of Lake Placid, Raleigh would be a good event for my training. However, my actual signing up came too late, as it sold out before I could register! So, we decided to volunteer…we selected two different volunteer options. One was an aide station on the run course and the second was a homestay. Our aide station experience was crazy! We had volunteered at a local sprint tri before, but never a race this large! After spending the first hour helping get the station set up (moving boxes, cutting up oranges, pouring drinks, etc), Tony and I were on “cold sponge” duty during the race. We passed out sponges soaked in iced water to any athlete that wanted one. These were super popular. It was not as hot as the prior year, but with full sun on the run course, they were welcomed refreshment to the athletes. Our shift ran from 8:30 to 1:00 and this time really flew by. It was great supporting the race, our friends racing and seeing it all from a different perspective. The homestay program is something we stumbled upon on the volunteer website. Essentially, we would be hosting a pro triathlete in our home as they visited Raleigh to participate in the race. We thought this would be an interesting experience, so we signed up. After communication with a volunteer coordinator and an Ironman representative, we were initially paired up with a pro. We were then asked if we could accommodate two athletes as this particular pro was traveling from California with a friend that was an elite age grouper. We agreed and were excited about meeting two great female triathletes. One of our visitors came in Thursday evening and the second Friday evening. Of course, they were busy preparing for and coordinating the logistics of race day. However, we were very fortunate to spend time with them over meals and during some down time to get to know them. They are both dedicated and experienced athletes and it was a treat to have them in our home. They both had great races and we were happy to cheer for them as they passed our aide station. They each achieved personal goals during this race and I was super impressed with their athletic ability. They seemed to both enjoy their experience here in Raleigh! I am happy that Raleigh has hosted two successful Ironman 70.3 events. It is great for so many people that travel from around the world to this event to see the city that I love and experience some southern hospitality. If anyone is looking for a new race to experience, I urge you to give Raleigh Ironman 70.3 a go!